Local marketing is vital to companies of all sizes. Specifically, a sound local marketing strategy can increase awareness for your company’s offerings to local audiences while establishing your expertise and creating new channels to increase traffic and revenue. 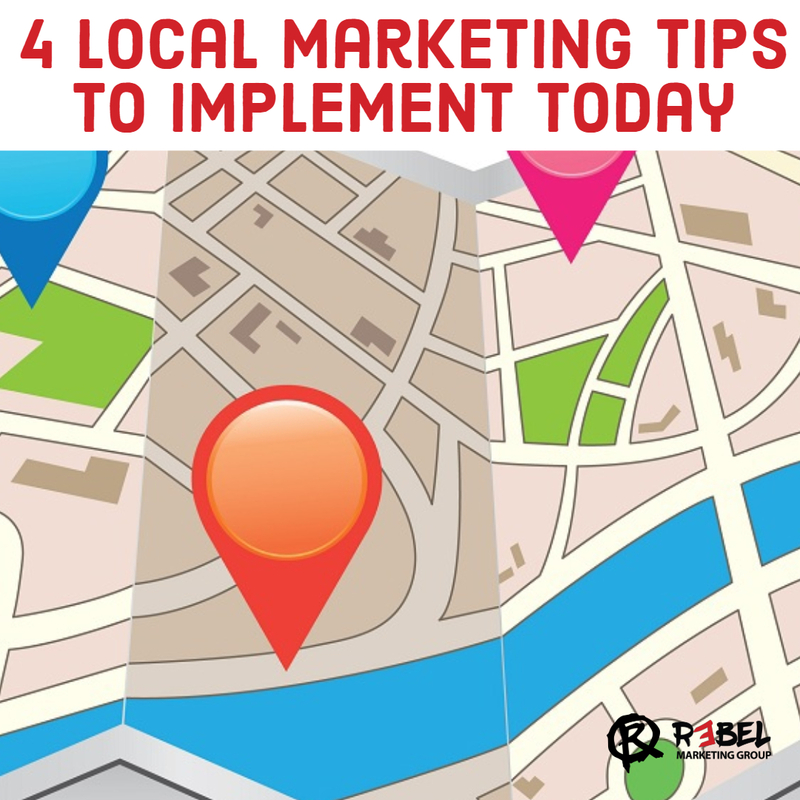 When it comes to implementing a local marketing strategy, we’ve included a few tips you can easily implement today for greater long-term success. Start with an analysis of your company’s social media presence. You might not realize it now, but a strong social media presence can have a huge impact on your local marketing efforts. Make sure your company has established profiles on appropriate social media outlets that provide value to your local targets. We suggest optimizing your time by prioritizing the social media outlets that are most relevant to your audience. One platform may be more useful than the other depending on your industry and business goals. Whatever platform you choose, make sure you create content that resonates with your target and don’t always talk about your business! As long as your content is appropriate to your brand, sharing funny images, inspirational quotes and even recipes your audience would enjoy is just as important as the post about your next sale. 2. Encourage Customers to Post Reviews & Testimonials. In addition to maximizing your company’s social media presence, you’ll want to encourage your clients and customers to post reviews and testimonials. This can be done with signage at your business location or on your social media pages. For example, both Facebook and Google+ provide options to add reviews to your business page. Customer reviews are one of the hardest pieces of content to acquire, but it’s worth the investment because reviews are a big factor for local search rankings. Personal outreach is also important to generating positive reviews. If you know you have a happy customer, you should consider reaching out and asking if they’d be willing to provide a brief testimonial to include directly on your website. However, we do not recommend directly incentivizing customers to post good reviews. Many online review sites are starting to be more vigilant in auditing business practices and you may be penalized for paid reviews. Paid search advertising (PPC) can be extremely effective in a local marketing campaign. This is especially true for smaller local businesses that may be having a hard time competing in the search engine results with more established companies. Not to mention, PPC gives you immediate results while you’re waiting for your SEO tactics to bear fruit. Local targeting is easily achieved and you set your own budget, so SEM is a great option for smaller businesses that have limited marketing budgets that still want to make a major impact. We suggest utilizing PPC in addition to your local SEO marketing to bolster results. Even if you don’t create your own business directory listings on major sites such as Google and Yellow Pages, there’s a good chance listings will be automatically generated for your business over time along with customer reviews, images and other user-generated content. For this reason, it’s in your best interest to claim all directory listings related to your business (each platform has its own steps). By claiming these listings, you can ensure all information is accurate at all times for potential customers or clients. These are just a few tips to keep in mind when it comes to your company’s local marketing efforts. As minor as these steps may seem, they can make a significant difference for your local business without occupying a great deal of your time or effort.